As an editor of Design Instruct, I get to interact with great creative minds, see and admire amazing designs, and I get to do it all day long. I love what I do. However, sometimes there are moments when reading another design blog or seeing another logo design can feel a tiresome and tedious. No great, original thoughts have come from a tired and bored mind. Indeed, I feel that the truly great ideas we get are synthesized from our varied experiences and a diverse knowledge base. It comes from the things that excites us thoroughly. While surely, reading design blogs like Design Instruct is a great way to find some design inspiration (shameless plug), it’s probably not enough. It’s too narrow in scope when you’re trying to formulate those really big, bold, life-altering ideas that will take your designs to a whole new level. You have to venture out into new territories and allow yourself to take part in the exchange of ideas and knowledge-sharing that’s happening everywhere. That’s how truly great ideas are born. That’s why I find that it’s important to mix things up. The websites below are just some of my favorites that help me do just that. 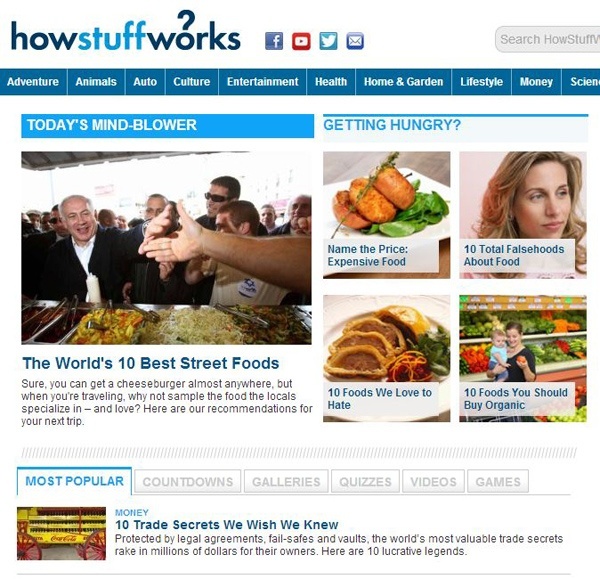 They are all excellent sources of inspiration and insights, from various industries and disciplines. Some are just fun. If you’re one of the millions of people who have seen a TEDtalk online or in person, you’ll know how inspiring and motivating the ideas being shared on the TED stage can be. If you’re feeling a little drained and exhausted, look for a TEDtalk that might be interesting to you and surely, a wave of new thoughts and ideas will come rushing in. If you’re an aspiring creative professional and are wondering how other creatives do “it”, Freunde Von Freunden is the place to find out. 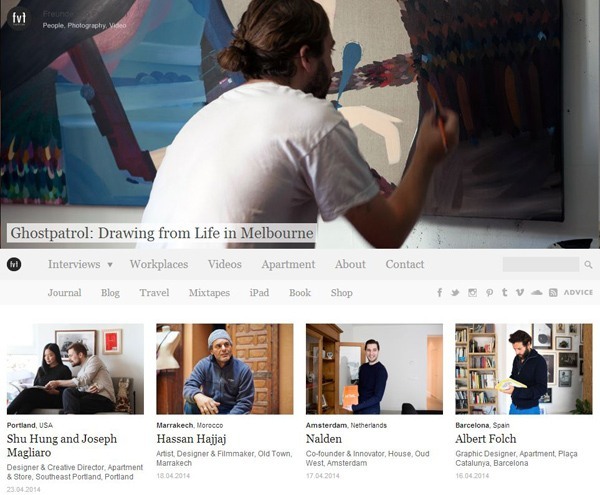 It features creatives at work and play while also providing some very insightful interviews. 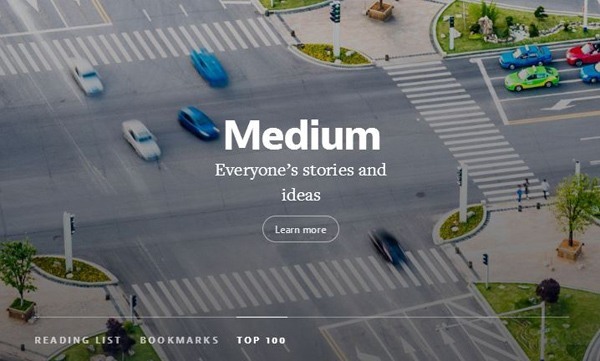 Medium is filled with some very well-written, entertaining articles and stories. People from all walks of life share their insights and experiences and ideas about almost anything. From articles about how New York doesn’t love you to an open letter to a burrito maker, you’ll find it at Medium. The diversity of ideas is what makes it work. Medium is a personal favorite of mine when I’m just laying around trying to not watch horrible TV shows. 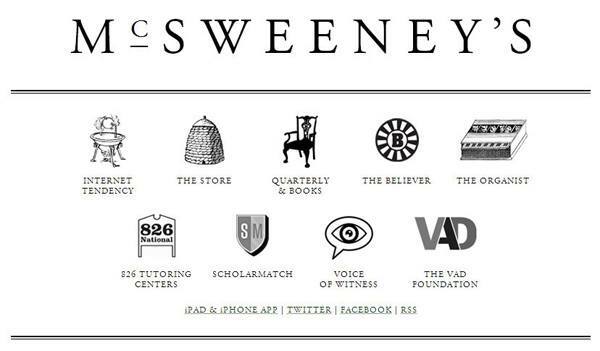 McSweeney’s started out as a journal that only published works that have been rejected by other publications. They have since diversified their offerings to include all sorts of excellently written works. Essays, poetry, short stories, and books can all be found at their online store. Also check out The Believer. 500px is still a favorite photo sharing site of mine just because you can always find great photos within its walls without having to look too hard. 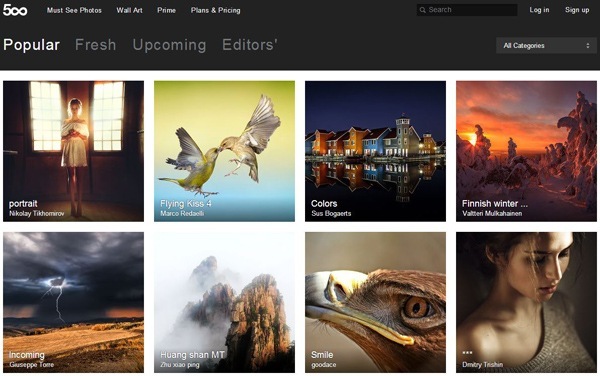 A great assortment of landscapes and portraits and macro photography is featured there. 500px always makes me want to grab my camera and go on an adventure. Life was a great magazine in its time. It started out as a general interest and humor magazine in its early days and was turned into a news and photojournalism magazine responsible for some of the most important photos of our time. 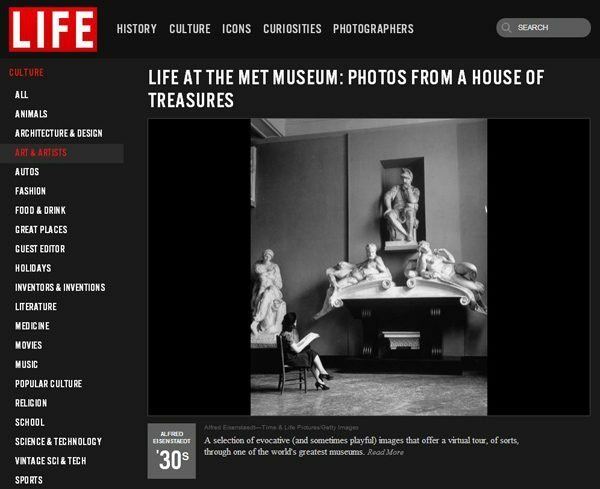 The Life website contains archives of great photos and stories from when the magazine was still in circulation. It’s a great place to get inspired especially if you’re a history buff. It may seem odd to include How Stuff Works on this list but if you’re like me, and curiosity sometimes gets the best of you, this is a great place to find some answers to the seemingly trivial questions that pop into your head. 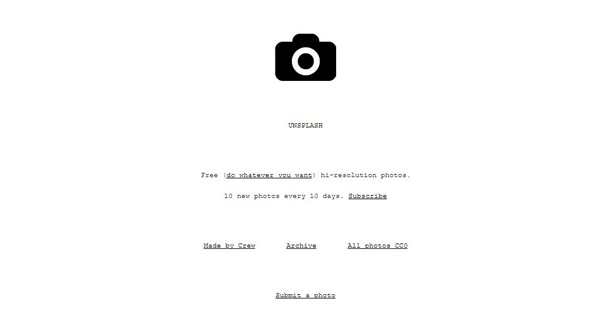 Unsplash is a stock photography tumblr page that features 10 new photos every 10 days. What’s different about this stock photo collection is that it features truly amazing photos and all are free for your to use in any way you like. I find Unsplash to be inspiring simply because of the great images being shared there. Definitely worth a look. I’ve recently just discovered this website. 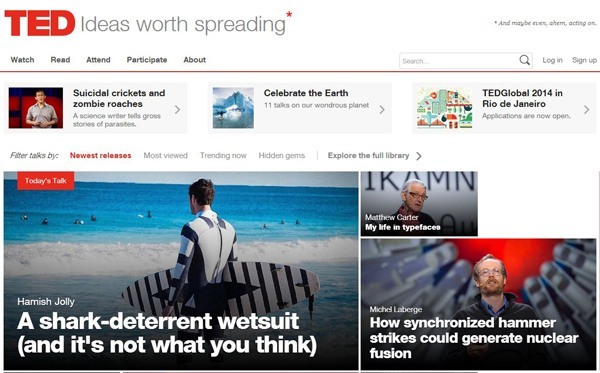 The entire premise of the publication is that the articles and stories published there bring “interestingness” to the table. It contains stuff that you might not even know you’re interested in until you have it right in front of you. From the brief time I’ve spent on Brain Pickings, I know that I’ll be coming back because of the thought provoking pieces I found there. Simply put, Lifehacker is about getting things done. No matter what it is, you’ll probably find cool tips and tricks to make your life a little bit easier. I often end up on Lifehacker when I just need to feel productive on the weekends. I’ll try to follow some easy projects or learn about random new things just to avoid being lazy. 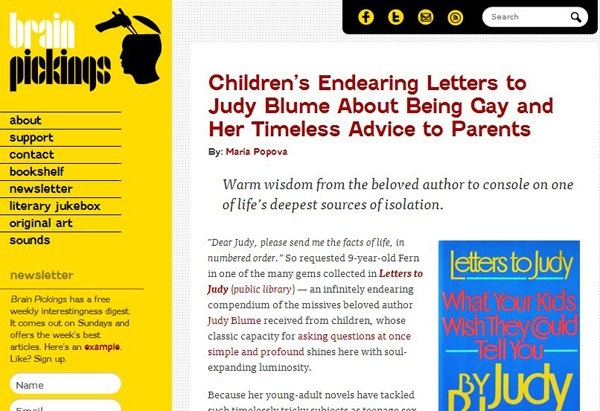 They also publish some very insightful pieces that are sure to inspire you. Broadening your horizons is always a good idea in my book. However, when it comes to finding inspiration for your work or your creative life, it’s important to be smart about what kind of experiences and knowledge you seek out. Filling your brain with useless junk won’t help you enrich your creativity but rather, it will weigh you down with pointless trivia. Instead, look for things that truly interest you and start there. What about you? What are some of your favorite places to find inspiration? Share it with us in the comments section below.